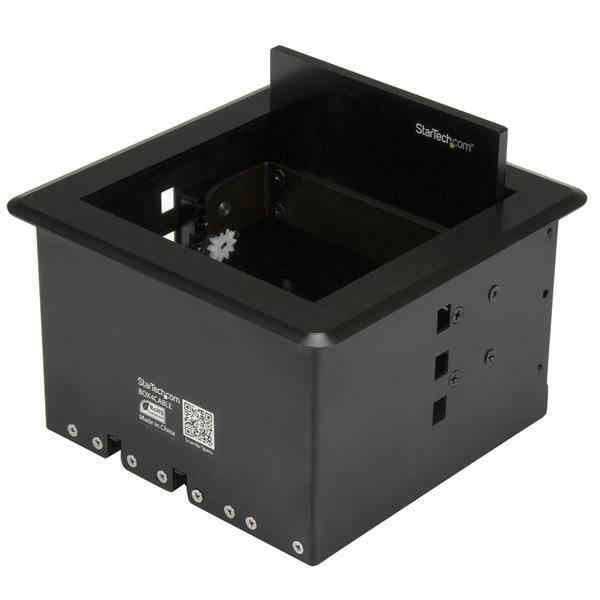 This cable access box offers a clutter-free solution for keeping the cables on your conference-room table or lectern out of sight but still easy to access. The box features a strong build providing a sturdy in-table cable conduit. Plus, the bezel and lid of the cable box are stylized with a brushed aluminum finish, adding character that compliments any table or lectern. 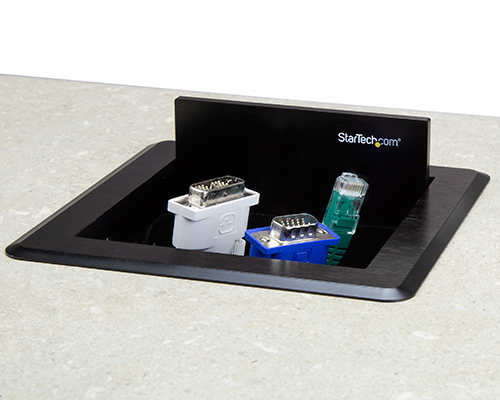 You can install the cable box into virtually any conference-room table or lectern to conceal up to nine of your AV, network or charging cables when they’re not in use. The box features a discreet brushed aluminum hide-away panel that discreetly integrates into your boardroom or classroom. 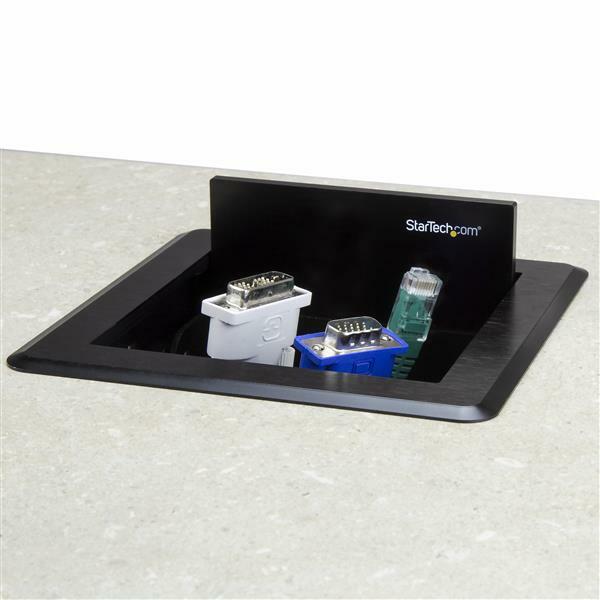 When you need to access one of the cables, you can simply slide open the cover panel, and connect the necessary cable to your laptop. When you’re finished, just slide the cable back into the box. 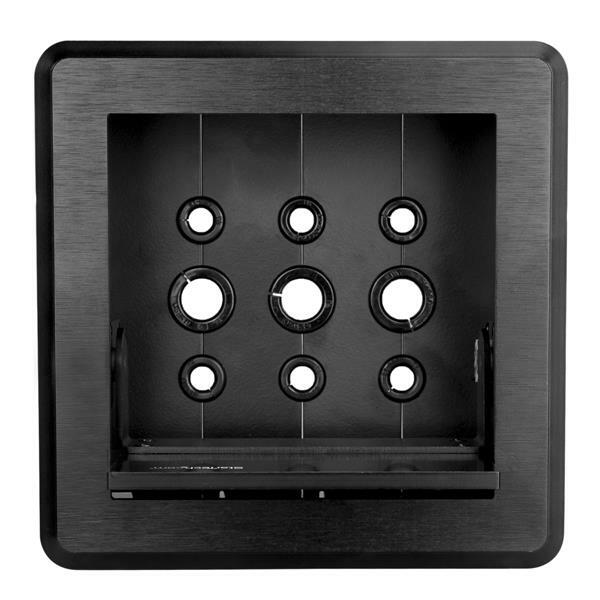 The access holes at the bottom of the panel are engineered to let gravity do all the work, seamlessly guiding your cables back and concealing the cable below your table. You'll never have to worry about losing cables, plus, your cables won't tangled with each other. 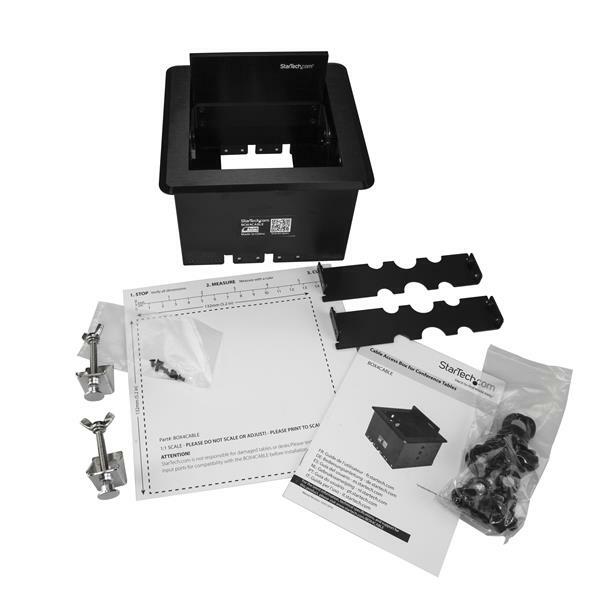 The BOX4CABLE is backed by a 2-year StarTech.com warranty and free lifetime technical support. Note Cables with ferrites may impact cable maneuverability within the cable hole. If ferrites are required, we recommend using cables with ferrites that are positioned as close to the connector as possible. (5 stars) Ingenious design, some planning required.